Deckers Outdoor Corporation is a Deckers Outdoor Corp designs and sells casual and performance footwear, apparel, and accessories. 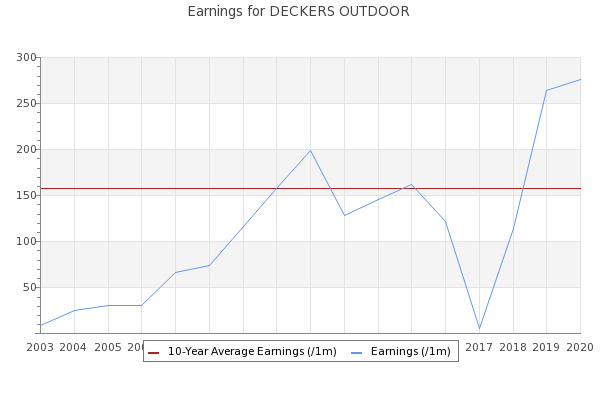 Deckers Outdoor Corporation DECK hits a new 52-week high of $154.64 on Apr 16, before closing the session a tad lower at $151.28. Deckers Outdoor Corporation trades as part of the manufacturing apparel and furniture industry and is part of the consumer cyclical sector. Teva�, a division of Deckers Brands (NYSE: DECK), is proud to announce the Teva x Anna Sui Spring / Summer 2019 footwear collection.